Various Artists - Future Massive: Volume 1. Vinyl LP. Bleep. New label Future Massive comes haring out the blocks with its first release. 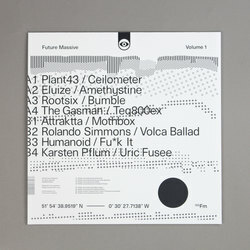 The Volume 1 compilation features some names that currently sit at the forefront of European electro - Plant43, Rolando Simmons and The Gasman are but three of the artists featured here. However, whether it’s serving up tunes from seasoned veterans or relative newcomers, this LP always makes sure to supply premium quality dancefloor fare that will get the party moving. While electro is the style at the core of Future Massive: Volume 1, the label clearly see it as a broad church. 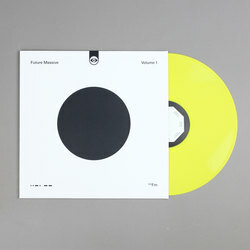 While rooted in the genre’s classic sounds - skittering 808s, squelchy bass tones, icy synth pads, that sort of thing - the tracks here paint a pretty comprehensive picture of where the electro is at in 2019. Across the tracklist here we get acidic DJ tools, dystopian rollers and ambient excursions. Some cuts draw from European dub techno (Eluize’s ‘Amethystine’), others look to Detroit (Plant43’s ‘Celiometer’). Braindance fiends should head straight to Volume 1’s home stretch - Humanoid’s ‘Fu*k It’ is a particularly whacked-out delight. And yes, that is the same Humanoid that went on to form The Future Sound Of London. 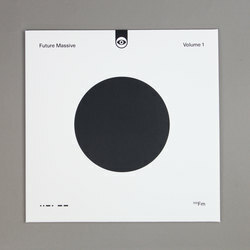 Future Massive: Volume 1 is a rollicking collection of club-ready goodness. This is one of the most impressive debuts that we’ve had in for a while, and we’re as excited as you are to see what Future Massive gets up to next.